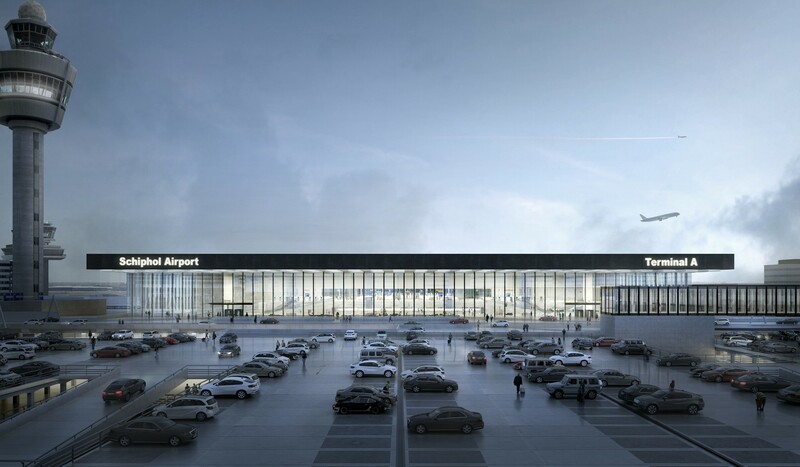 Schiphol has chosen the design of KAAN Architecten in collaboration with ABT, Estudio Lamela and Ineco. The new terminal is an expansion of Schiphol's existing terminal, making it possible to retain the one terminal concept. The consortium's innovative thinker is Arnout Meijer Studio from The Netherlands. Amsterdam Airport Schiphol CEO Jos Nijhuis: "This design suits the Schiphol DNA. That was the main reason why the jury decided to choose this design. The design solution contributes to excellent processing, it provides optimal support to passengers, contributes to our sustainability ambitions and is future-proof. We are looking forward to welcoming airlines and passengers in the new terminal and adjacent new pier." More information about the new terminal is available at the website of Schipol.